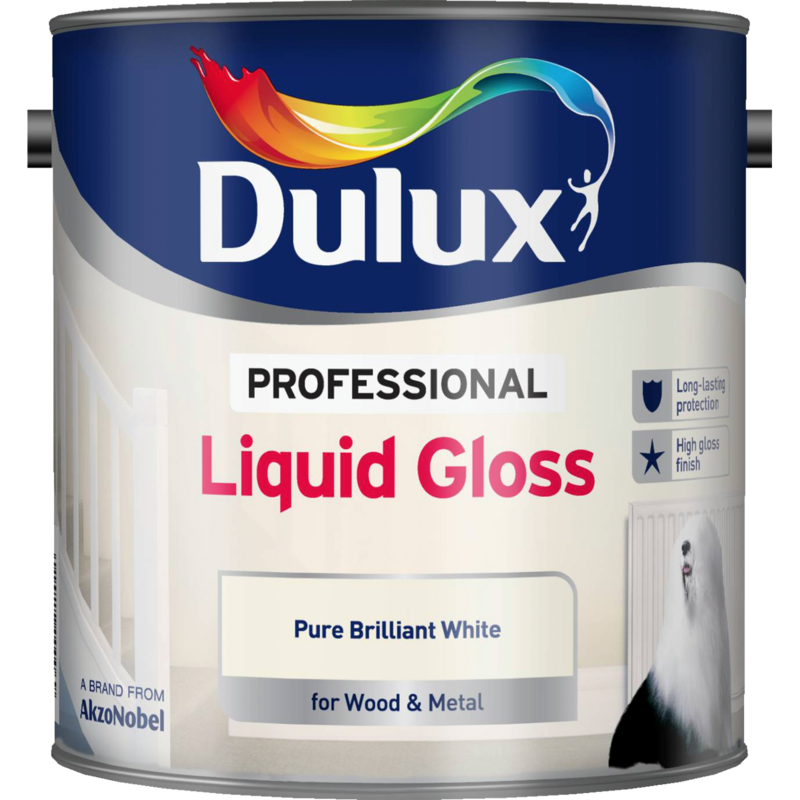 Dulux Professional Liquid Gloss is a traditional gloss with a creamy consistency that gives a perfect mirror-like finish. It can be applied on interior or exterior wood and metal surfaces to give long-lasting protection. Leave for 16 hours to dry. Newly painted doors and windows should not be closed and radiators should not be heated until paint is fully dry. Apply 1 coat of Dulux Quick Drying Wood Primer Undercoat, followed by 1 or 2 coats of Dulux Professional Liquid Gloss. Where a second coat is required, leave at least 16 hours between coats. TIP: if the colour change is strong, more coats may be required.